Here are some great ideas of places to visit and, of course, you'll need somewhere to sleep and eat. If you need more help planning your trip, please contact the Chamber directly. If you need a business service or product in east Fairfax County, use a Chamber member for a business connected to the community. Search our Shop Local Business Directory to find just what you need. Questions? Call the Chamber at 703.360.6925. George Washington's Mount Vernon is the most popular historic estate in America and is open 365 days a year. Over 80 million people have visited Mount Vernon since 1860, when the estate was officially opened to the public. Mount Vernon welcomes an average of one million guests each year. 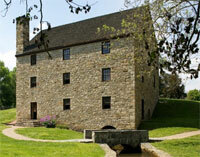 Today, nearly 500 acres of this historic property have been preserved along the banks of the Potomac River. 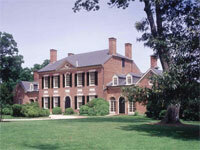 Guests can see Washington’s mansion and other original structures. www.mountvernon.org. Gum Springs was founded by freed slave West Ford whose bones rest near George Washington's at Mount Vernon. 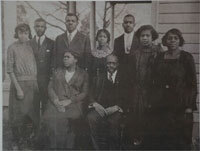 Gum Springs was a place for blacks to prevail, assimilating runaways and freed slaves who migrated there by way of the nearby port of Alexandria. Many of its forbearers tended General Washington's estate at Mount Vernon before they were freed at the death of his wife, Martha. Gum Springs Museum and Cultural Center preserves this heritage.